The Phyto-File ... for Phytophiles! The Plant Biology students like plants (that is why they take the course!) but they tend to be urban biologists who seldom get a chance to see nature outside of the confines of the Greater Toronto Area. Boyer woodlot provides a small microcosm of the Great Ontario Bush. 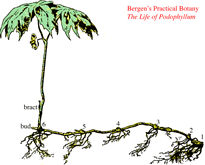 So, some of the Phyto-Files include plants from Boyer and other nearby woodlots. (Woodlot Frolic). 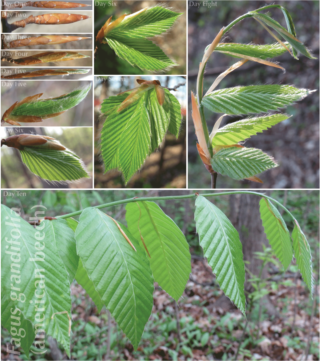 This year, I decided to do a 'time lapse' of leaf emergence in Beech (Fagus grandifolia, a common tree in mature forests on mesic sites). 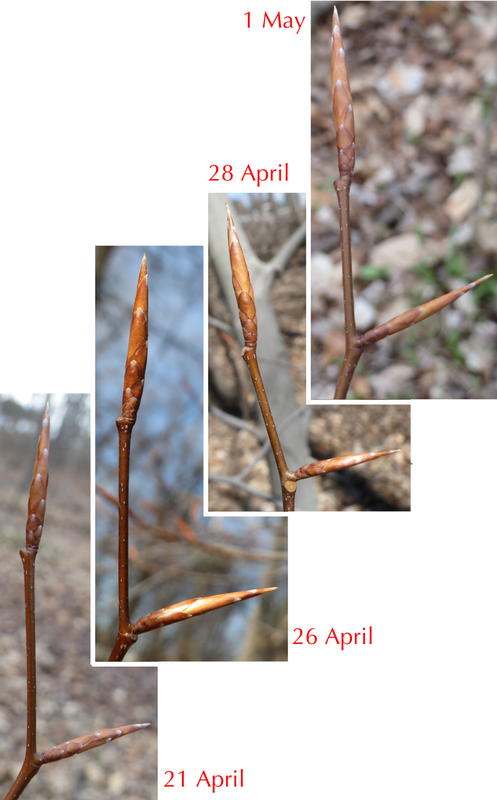 I started to take photos at the end of March: six weeks later, the leaves had not yet emerged! I needed to cultivate patience on a much longer time-scale. 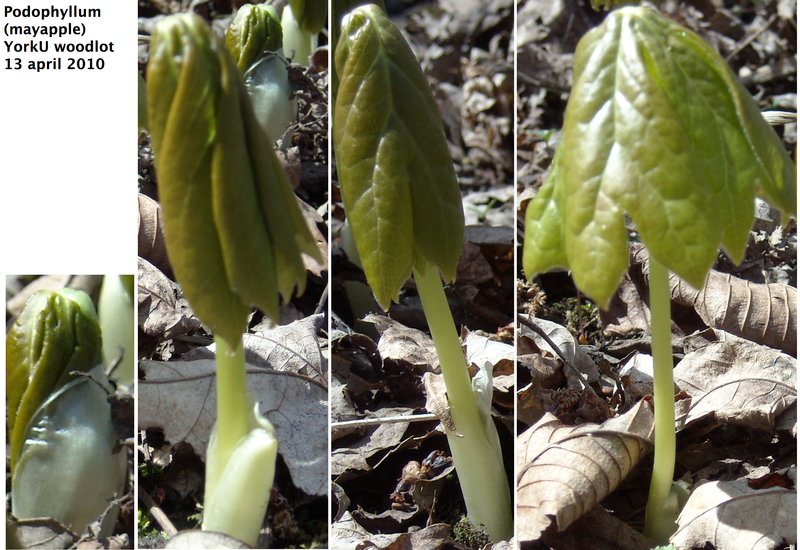 By the 2d of May, understory tree leaves were emerging at a fast pace, intent on getting as much photosynthesis done before the canopy leaves emerged and shaded the forest floor. 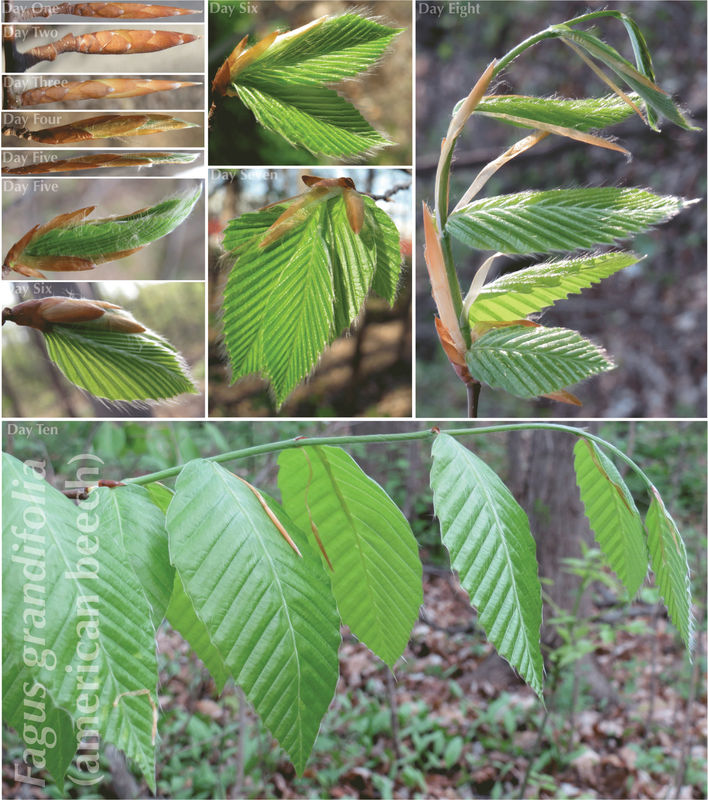 Hornbeam (Ostrya virginiana, a common small understory tree species in the Great Ontario Bush) was one example. 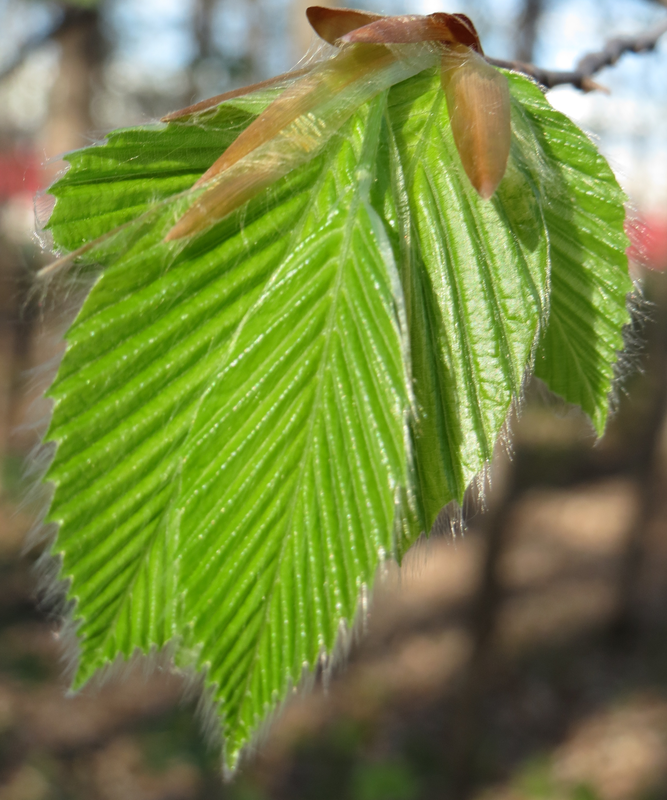 Even the Beech tree buds were starting to swell and green (3 May), but only a little bit. And even more so by the 5th of May. 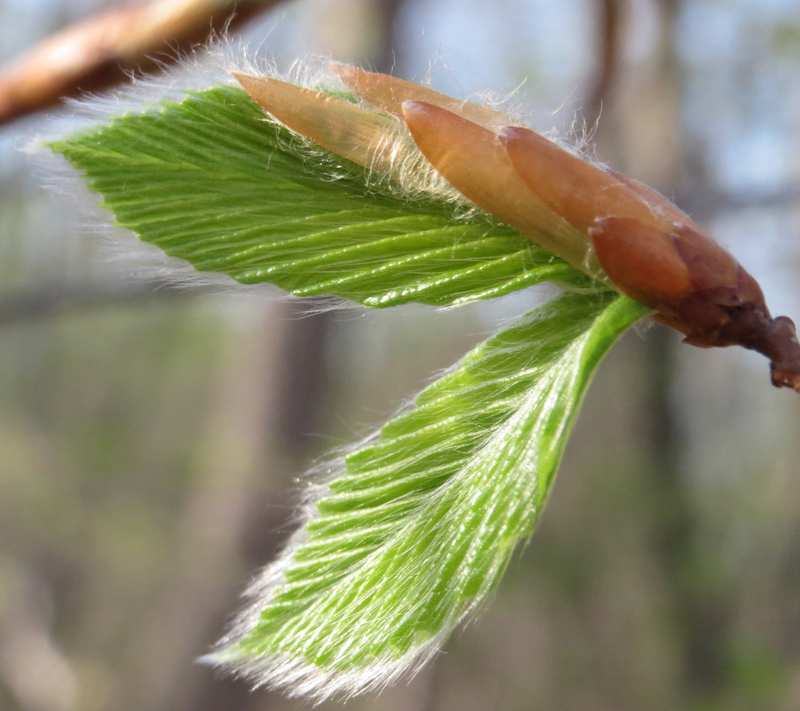 On the 6th of May, leaves extend in minature from the buds. 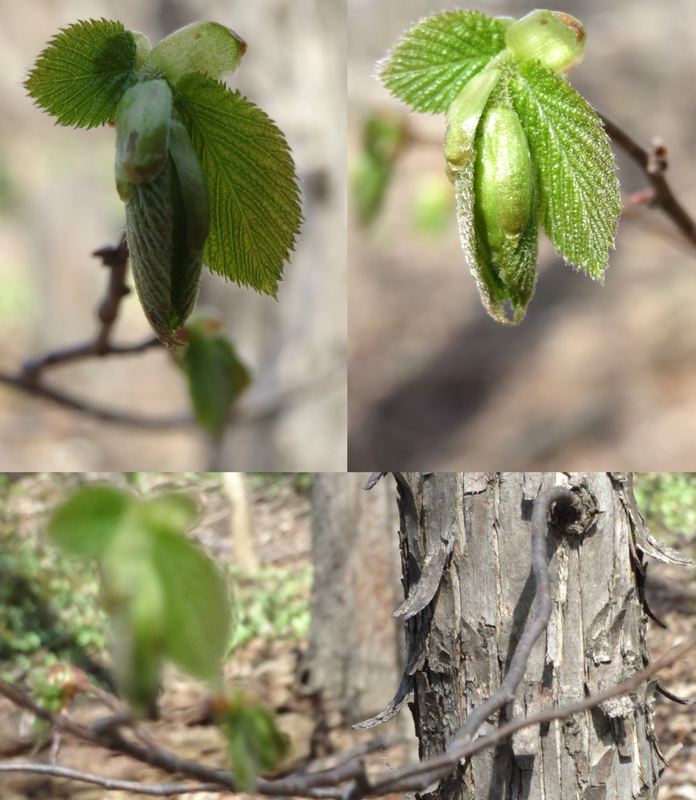 On the 7th of May, multiple leaves are forming from each bud. Finally! A time lapse of Beech Leaf-Out. Sometimes, the folks who bring you the Plant Biology course assist research groups with their projects. One example is to support a Master's project (Kira Neller in Kathi Hudaks' lab) --Bioinformatic analysis of the Pokeweed transcriptome. To do the research project, they need to determine the size of the polyploid genome of Pokeweed. This isn't as easy as it sounds. 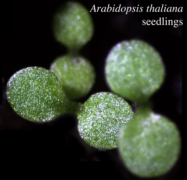 To do so, they need 'standards', and plan to use measurements of the well known model organism for plant molecular biology: Arabidopsis thaliana. Which means they needed to grow Arabidopsis. So, we started farming! The plants are grown under fluorescent lighting in a research lab to minimize the opportunity for phytophages (like aphids) in the greenhouse to feed on the succulent and tasty leaves. Once the plants have reached maturity, they will be gently macerated to isolate some of the nuclei, which will then be sized in a cell counter. Since the ploidy and genome size of Arabidopsis are known, it will be a standard for similar measurements of Pokeweed. 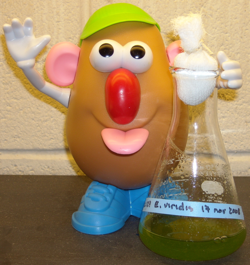 The research is being done in Professor Kathi Hudak's laboratory. You can find out more about her research on Pubmed: Hudak KA and at York's Research & Innovation Website. Many on the scientists at York are involved in Science Outreach, of which one example is the Science Rendezvous, held on the second Saturday in May (just before Mother's Day). York contributes to events at Main Street Markham. 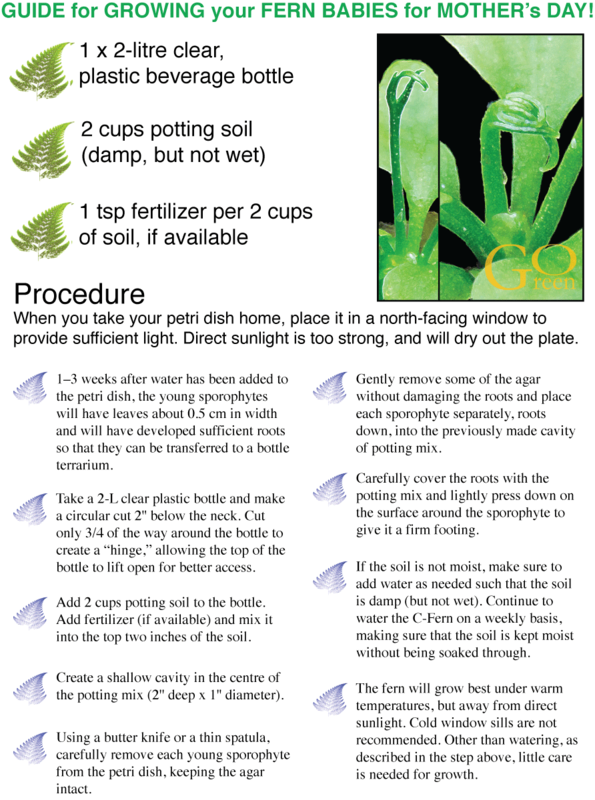 Last year, York plant biologists set up a Bring a Fern Baby Home for Mother's Day Event. Participants were given a Petri dish containing the Ceratopteris gametophytes, to which they added water. Under the microscope, they could see the spermatazoids swimming to the hermaphrodite gametophytes. 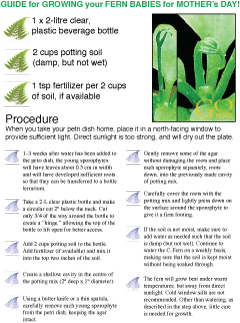 Then, the Petri dishes were sealed with parafilm so that the participants could take them home (with instructions) so that they could grow the ferns to their mature sporophytic form. 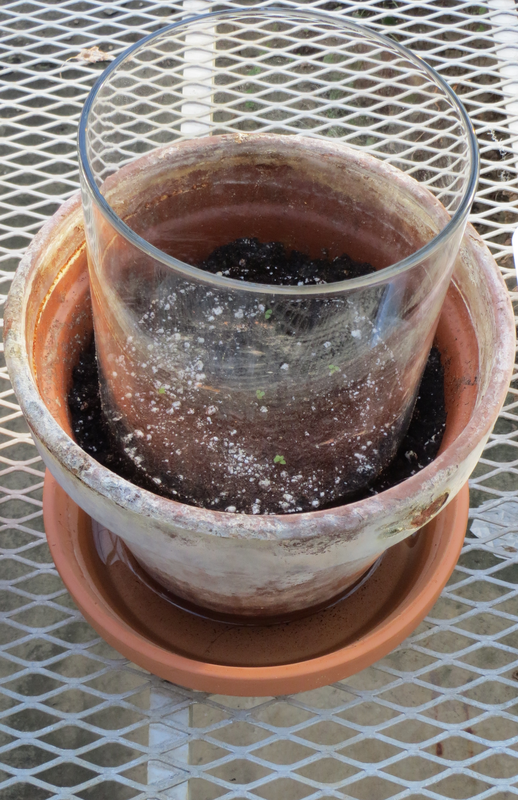 In preparation for the event, we are growing the sporophytes in the greenhouse (to take to the event so that the participants can see what the mature fern looks like). Plant Biology students often come to volunteer and have a wonderful time helping the participants Bring a Fern Baby Home for Mother's Day! When a plant biology student gets a chance to use a confocal microscope, it's only natural to use it to observe their angiosperm plant. That's what Jacob did. The images above are the stigma of Gerbera. Blue is DAPI fluorescence (nuclei), red is autofluorescence, pink is the color merge. 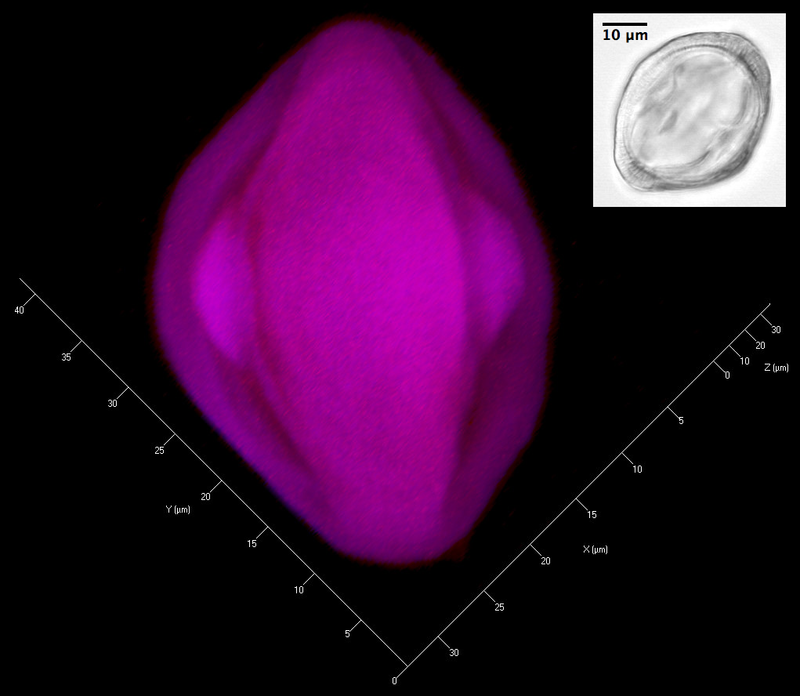 Gerbera pollen autofluoresces (image on right), and with the confocal microscope you can build the three dimensional structure, something that might help when you are doing pollen identification! 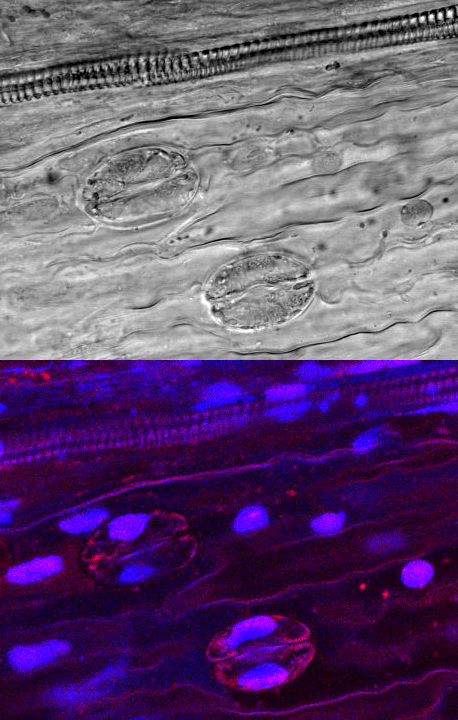 You can observe stomata from a completely different perspective too (image on left). DAPI reveals the nucleus located in each of the guard cells. Some images are just visually appealing, like the pollen in the anthers (image below). If you get the chance to go Plant Confocal-ing, you'll discover a whole new vista of the Anatomy of a Flowering Plant! What does an ecologist do? Chris Lortie --one of York's Plant Ecologists-- tells us: I love working with plants. Plants have an incredible diversity in how they do their business in terms of reproduction, growth, and allocation (published: Reciprocal gender effects of a keystone alpine plant species on other plants, pollinators, and arthropods [pdf]). Recently, we have been working on the importance of plant gender in terms of its impact on the ecology of other species. I would love to do more research on this topic. Also, we have been exploring the importance of plant morphology on its ecological effects on other species including insects (published: The alpine cushion plant Silene acaulis as foundation species: A bug's-eye view to facilitation and microclimate [pdf]. 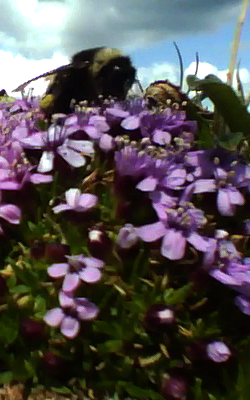 Here is a movie of a pollinator [mov 1.7MB]. Finally, how good are at plants at testing ideas in general about invasive species? Well, it turns out that they are pretty effective (published: Taxonomic bias and lack of cross-taxonomic studies in invasion biology [pdf]). So, what does a ecologist do? Lots! And I welcome the opportunity to have undergraduates help us! So, what do TAs do when they are not teaching you? Lots of things. For the aquatic biologists, a lot of the time, they seem determined to get wet. 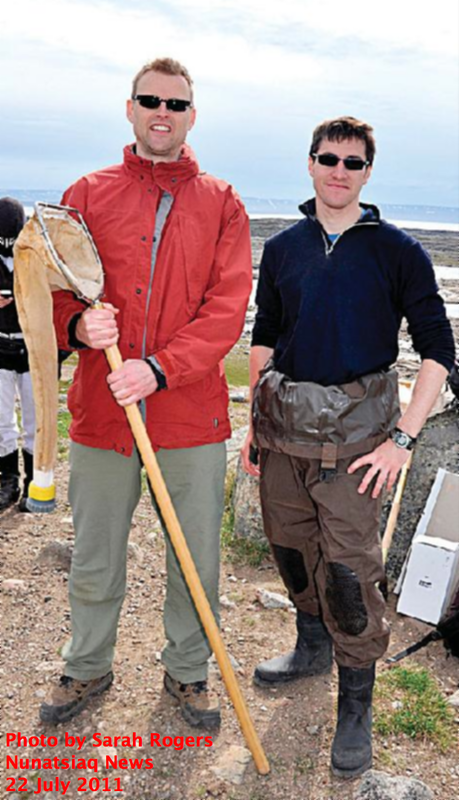 The Lab Coordinator (Chris Luszczek) and TA (Ray Biastoch) explore the ecology of aquatic insects in the Great White North, which as you can see isn't always snow covered. 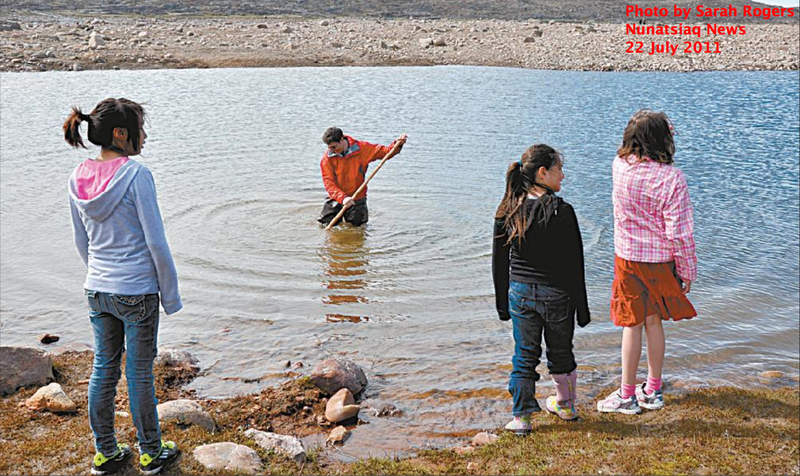 Their research on aquatic insects was highlighted in the Nunatsiaq News (22 July 2011 issue). Insects often live in the water as juveniles --feeding on algae-- before they emerge into air. Their health is a good indicator of the health of the aquatic ecosystem. Since the juvenile forms are a good food source for fish, they give a good indicator of your chances of landing a trout for dinner! One hidden benefit for your TAs in Action. We often work on various aspects of the Plant Biology course (even when class is not in session). Over the summer we developed a fruit and veggie vivisection lab so that students can enjoy exploring the anatomy of what they eat! 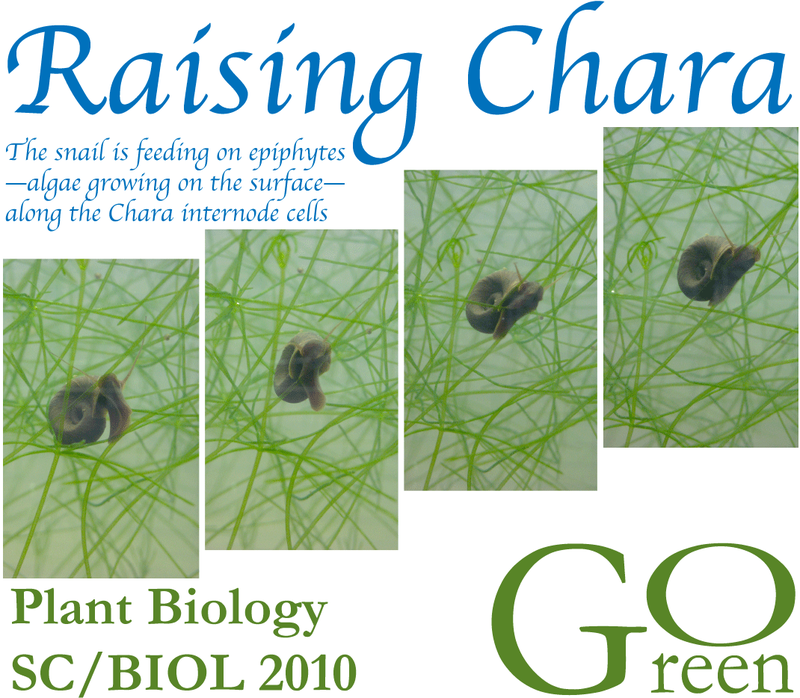 We also started Raising Chara so that students could see firsthand this progenitor of land plants, and harvest some for a closer look during the algae lab exercise. Raising Chara was new for us. They are rooted, so we had to prepare soil (from Boyer Woodlot) by screening and autoclaving. Then we planted the Chara explants into the soil. The tanks were filled with Broyer-Barr medium (a simple mix of salts that is essentially unchlorinated tap water). Over a few months, Chara emerged from the soil, eventually poking above the water surface. Other algae (unicellulars) appear in the tank over time. Some anchor themselves onto the surface of the Chara plants (so-called epiphytes), so we introduce snails, who feed on the epiphytes. I guess the snails are Nature's vacuum cleaners. The most recent molecular phylogenies place Charales as the closest relative to land plants (Embryophyta). 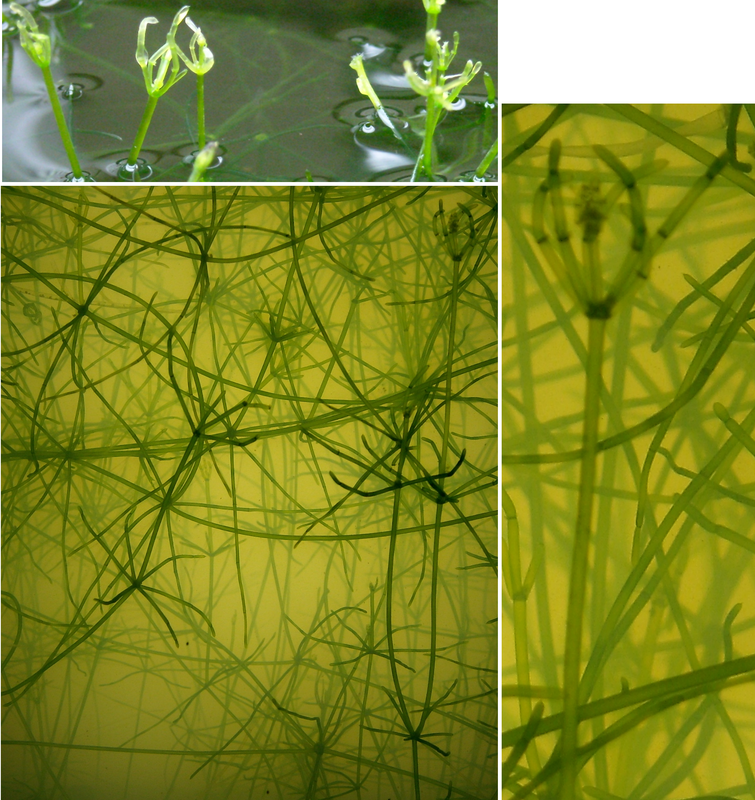 Even though it is a decidedly aquatic plant, there are close similarities with land plants based on DNA sequences. And, when we were raising Chara, it did seem that it wanted to invade land, when the plant tips emerged above the surface of the water. Chara has a long history as a model organism for scientific research. It has a myosin molecular motor that is 5 times faster than human myosin. This was one reason why the new BIOL 2070 labs took advantage of the fact we were Raising Chara and include Chara in their lab exercises, for experiments on cytoplasmic streaming driven by the myosin motor. Real-time cytoplasmic streaming can be seen on my movies page. 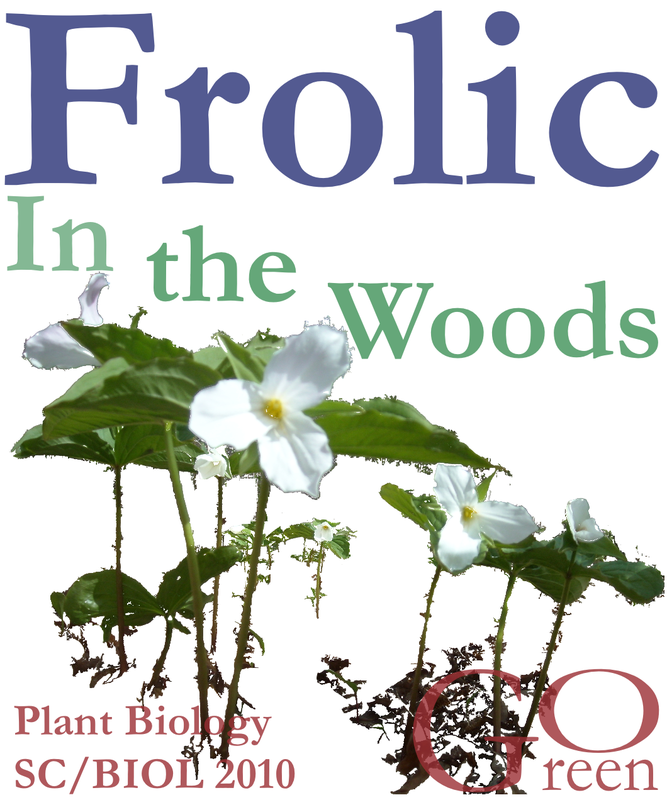 When I told a former Associate Dean that I was frolicking in the woodlot everyday, she responded "Frolicking is always a Good Thing" and offered to make us t-shirts emblazoned "Proud to Frolic". The truth is Frolicking was fun! I was documenting the slow march of spring, when shorter nights and warming, fluctuating temperatures cause winter dormancy to break. One of the first plants to emerge from their long winter sleep are wood lilies (Erythronium americanum). 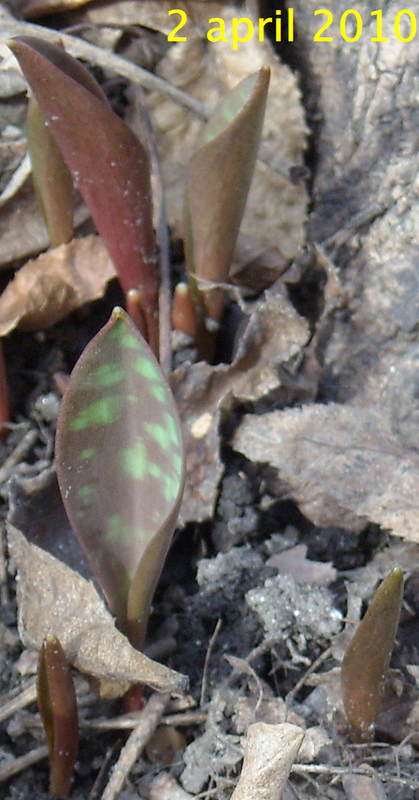 The mottling on their leaves is the reason for other common names (dog tooth lily and adder's tongue). 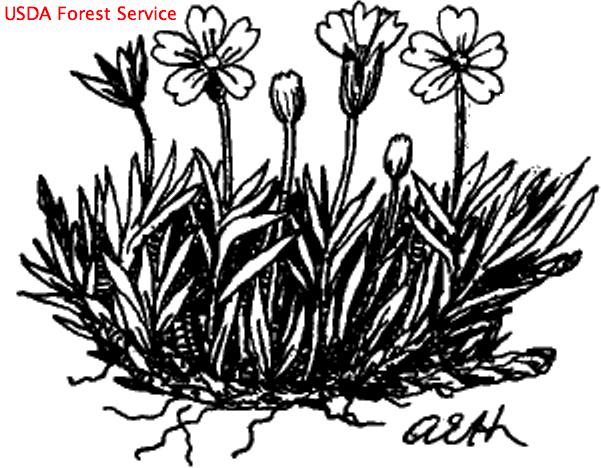 Within a few weeks of their first emergence, large patches of the forest floor were carpeted with their leaves. They are ephemerals, emerging from dormancy long before the leaves unfold on the trees, during a time when the full intensity of spring sunlight will penetrate to the understory. The emergent leaves take advantage of this brief time to photosynthesize and store carbohydrate for the next year. Only occasionally will they flower (click on the pictures for larger versions). The emergence of the flower stalk and bud, followed by full anthesis, only takes about a week. The pollinator is reported to be bumblebees, and I saw bees near the flowers. After fertilization, eventually, embryogenesis and seed development will occur. The life cycle takes about 7 years. Other flowers follow the same spring ephemeral lifestyle: Trillium (the species Trillium grandiflorum grows in York's woodlots) is a common example. The seeds are reported to be disseminated by insects and wood mice. Like wood lilies, the seeds can remain dormant for years, contributing to the seed bank beneath the forest floor. 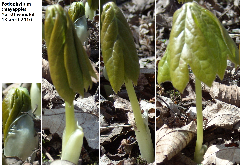 Mayapple (Podophyllum peltatum) likes moist areas, drenched from the spring thaw. The pictures below were taken in the woodlot east of Schulich Business School. 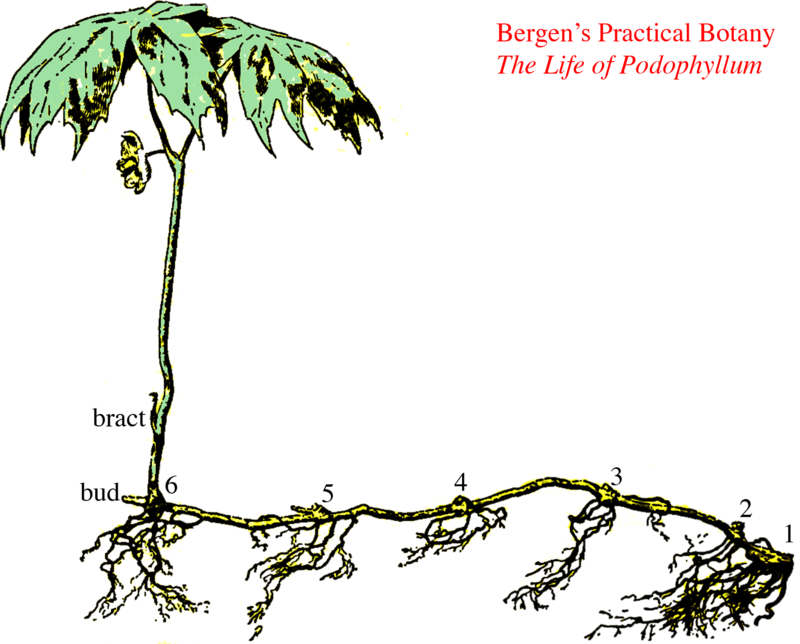 Podophyllotoxin, found in the rhizomes, is used in commerical preparations for the removal of warts, and derivatives of podophyllotoxin are reported to have antitumour and antiviral activity. 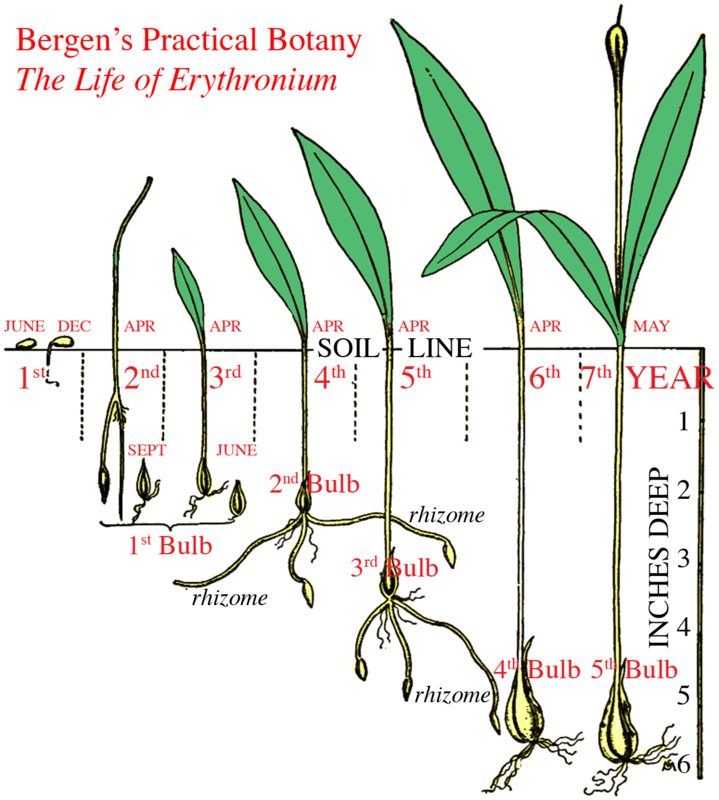 The leaves and flower emerge every year from an ever-growing underground stem. Because they are ephemerals, wood lilies, trilliums and mayapples appear only transiently, during the warming temperatures of the early spring (starting at the beginning of April, when students are immersed in studying for final exams). This year, the flowers appeared about a week earlier than last year. A warm spring must be at least part of the reason. How much of their early arrival is due to global warming is something that would require year-by-year documentation, to tease out the long-term trends from the annual fluctuations in the weather. Everyday when I went to photograph 'my' plants, if I met someone I knew in the hallways, I would invite them to come and frolic with me. Some did, and enjoyed it very much, especially when the wood lilies and trilliums were in full bloom. You may find a frolic in the woods as much fun as I do, and a welcome respite from studying! And who knows? You might get a free frolicking t-shirt! The Arctic regions of Canada hold a certain rugged and captivating beauty, which contrary to popular belief is not always covered in snow and ice. Also, there is nothing like the beauty of many of the flowers found blooming in the great green north. 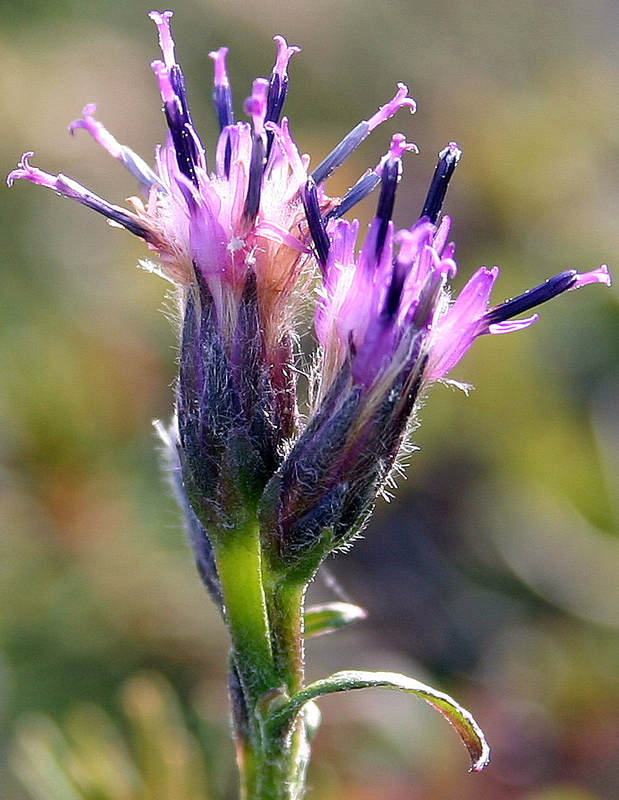 This saw-wort (Saussurea angustifolia) was captured by me in Baker Lake in the Territory of Nunavut, while conducting research on climate change in Arctic lakes and learning how to identify plants with Andrew Medeiros in 2007. 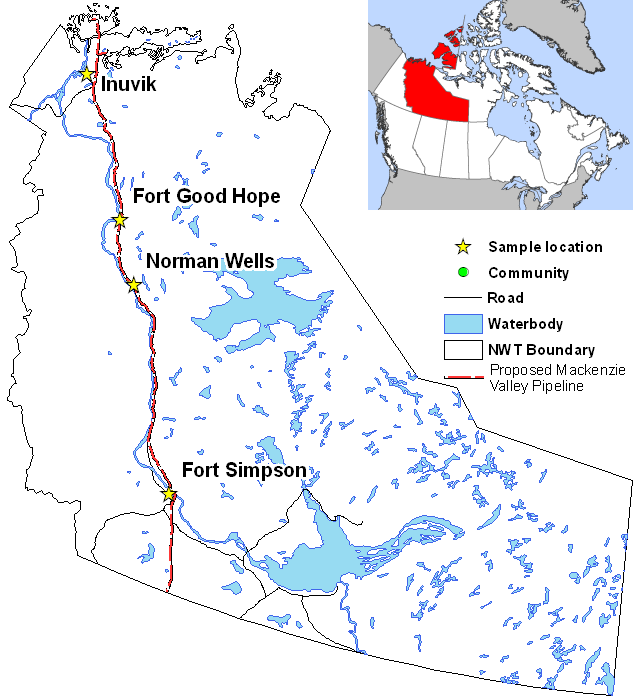 During the summer of 2008 I sampled plant communities in the Mackenzie Valley of the Northwest Territories. 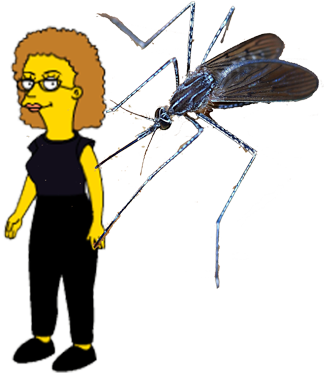 I ended up donating many pints of blood to enrich the local populations of carnivorous mosquitoes and black flies! But, more importantly, I was identifying native and newly introduced species in the North. 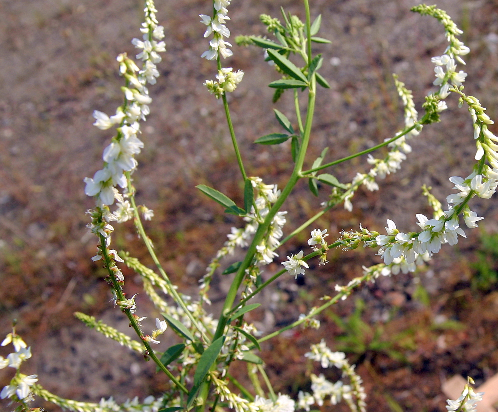 Surprisingly, sweet white clover (Melilotus alba) is a major invasive species along roadsides and rivers in both Northwest Territories and Yukon. By roadsides, it must be disseminated by hitchhiking on cars and trucks. It may travel north along rivers by hitching boat rides. Besides its tendency to travel along with humans, its successful invasion of the north could be due to warming, and the greening of the North with global climate change. If you are interested about a truly unique place to study plants and invasive species, go North and see a part of Canada that many are not aware of. Besides, there is plenty of research funding to explore the Great Green North! Hey! What about the algae? They are totally awesome too! 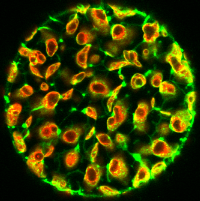 Phycologists have a world of beauty to explore, like the images of chloroplast fluorescence (red) and mitochondria (green) in the unicellular alga Eremosphaera viridis (left). This particular strain was isolated from Plastic Lake here in Ontario (a favorite haunt of aquatic ecologists, whose fieldwork often involves boats and suntans...). It's a very large unicellular Chlorophyte (about 150 microns in diameter) that's been used extensively in research for over 100 years. In a 1901 publication in the Botanical Gazette, George Moore described watching the algae, collected from the wild, for months, without any clear indication of a sexual cycle, or a motile stage (zoospores). The sexual cycle was finally discovered by Von Ludwig Kies in 1967 (Oogamie bei Eremosphaera viridis De Bary. Flora 157:1-12). The alga has no problem growing in diverse habitats: from lakes to streams, even in the soil. My PhD research was on how algae accumulate carbon dioxide, including experiments with the Chrysophyte Mallomonas papillosa (photograph on right). 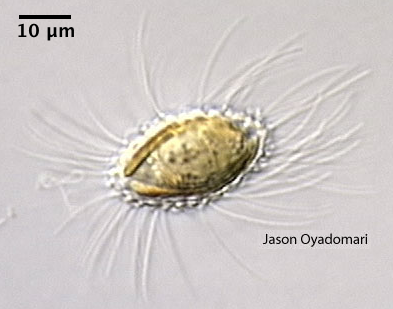 I measured oxygen evolution, and used radioisotope tracers and cell fractionations to see if Mallomonas actively accumulates carbon dioxide for photosynthesis. In water, carbon dioxide is in low supply, so algae have evolved ways to accumulate it using a variety of carbon concentrating mechanisms (we call them CCMs). Some of these catalyze the conversion of bicarbonate to carbon dioxide, and others take up bicarbonate directly. 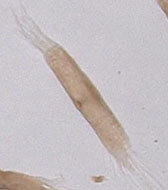 Unlike many algae, Mallomonas is very similar to land plants that rely solely on carbon dioxide fixation by RuBisCO and don't actively take up carbon dioxide (or bicarbonate) from the surrounding water. So, their RuBisCO enzyme has evolved to have a high affinity for carbon dioxide, just like higher plants. Algae play a crucial role in carbon cycling. They are responsible for much of photosynthetic carbon dioxide fixation as the primary producers in the oceans. The oxygen we breathe as well was produced for the most part by alge (and cyanobacteria). They terra-formed the world for us. We couldn't live without the algae! So, Phycophiles Unite! One example of the very special trees growing at York are the ginkgo trees (often called the maidenhair tree) in the quadrangle between the Chemistry building and the new LIfe Sciences Building. Ginkgo biloba has a long botanical history, described by Kaempfer in 1712, and formerly included in the botanical nomenclature by Linnaeus in 1771. Hence, Ginkgo biloba L. The species name, biloba, refers to the bi-lobe structure of the leaves. 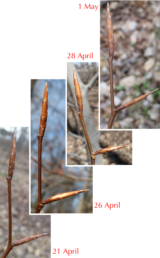 When you take a closer look at the twigs (30 march 2008), you can see the spurs from which the leaves will emerge later in the spring. The spurs are actually very slow growing lateral shoots. The ginkgo tree is very old. Fossil remains identifiable as Ginkgo date back to the Permian period, some 270 million years ago. In modern times, it survived in temple grounds in eastern Asia (China and Japan). Now, it is a common landscape tree, popular in urban landscaping because it is not susceptible to diseases and is resistant to air pollution. There is some evidence that extracts from the leaves have beneficial medicinal qualities, mostly related to improved blood flow. But as always, caution is advised and self-medication is not recommended. As a child, I used to have to walk to school on a path that was bordered by female ginkgo trees. 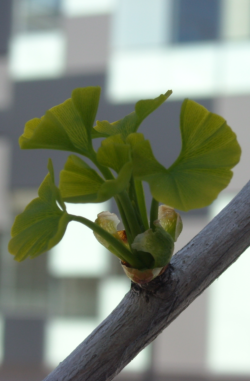 The ginkgo is dioecious, meaning that it has female and male plants (unlike most plants, which are hermaphrodite). The female produces a drupe-like seed that has a slimy flesh surrounding the hard embryo. The normally staid Botanical literature describes the seed as "putridly fetid with odor of rancid butter at the time of falling" (Lawrence: Taxonomy of Flowering Plants, 1951). Collecting the seeds and putting them in the coat pockets of my classmates led to hours of detention, and a life-long interest in Botany! Needless to say, landscape architects prefer the male plant over the female plant. The York ginkgo trees are male. The male flower looks a bit like a small cone when it first emerges (24 april 2008) nestled inside the newly emerging leaves, but will soon grow out to form a staminate (male) flower. The quadrangle is a wonderful place for studying when the weather is warm, and ginkgo leaves are already emerging (27 april 2008). The leaves should be fully developed at the end of April to middle of May. Please enjoy! This is my first summer on York campus, and I've been keeping an eye open for specimens that I can photograph for use in class next year. Luckily, I've found many examples! There are Ginkgos, larches, pines, spruces and firs. I've seen mosses bearing tiny capsules. Flowering plants abound, from tiny little weeds to blossoms decorating huge trees. Summer is a wonderful time to observe the amazing diversity (and beauty) of plants! In June, some flowers caught my eye as I walked across Campus Walk from my office in Farquharson on my way to get coffee in the Student Centre. The tall trees were covered with what I first took to be little white flowers. When you take a closer look, you can see that the bell-shaped flowers are actually not just white - they have purple and orange markings that almost look painted on. The markings are only found on part of the flower, but run from the outer edge of those petals into the centre of the blossom, where the male and female reproductive parts can be found. In fact, these markings are oriented along what appears to be a "landing pad", guiding insect pollinators to the inner floral parts (and the awaiting nectar reward). Flowering plants have evolved many different ways of promoting pollination. While animals have developed some interesting ways to attract potential mates of the same species, many plants have enlisted a third party to help transfer gametes. 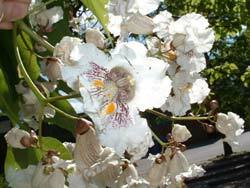 In this case, bees and butterflies are among the pollinators that visit Catalpa blooms. 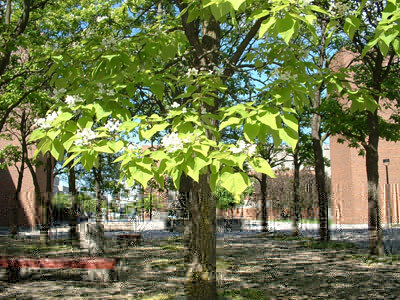 The trees are Catalpa - Catalpa speciosa to be specific (no pun intended). The original range of these trees was in parts of the Eastern and Central United States, but widespread cultivation (and escape) has expanded the range today. It seems to be a popular ornamental tree. 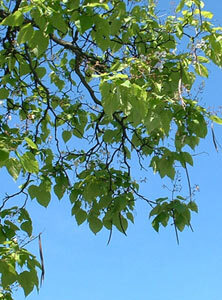 The leaves have a heart-like shape, with smooth margins. These pretty trees can grow quite tall, and produce seeds in distinctive long pods. If you break open one of these seed pods, you may initially have some problems finding the seeds! Most of the seed pod is NOT seeds ... and it is easy to overlook the little, papery rectangles that spill out when you open up the pod. But the thin brown rectangles actually enclose the seeds - Catalpa seeds are distributed when the pod opens (on the tree) and the paper-like fringed "wing" helps the seeds travel. Many plants have devised fascinating mechanisms to help disperse their seeds by wind. (There are other ways that seeds can be dispersed, too, such as via water, or animals.) Dandelion seeds produce fluffy parachutes that are very familiar to most of us, but a number of plants produce different types of seed wings. Even among the plants that produce "winged" seeds a lot of variety exists - you have probably seen maple seeds, which have a shape quite different from catalpa. Catalpa is a good example of a dicot that has flowers specialized to attract pollinators, and winged seeds evolved for wind dispersal. Hopefully I can find more (equally photogenic) plants like these to illustrate other aspects of botany!